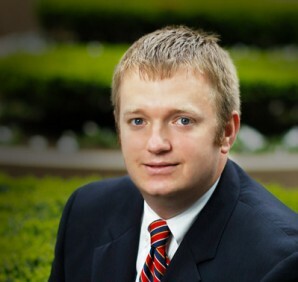 Matthew D. Ellison is a Member of the Fowler Bell firm, practicing in the firm’s Litigation and Bankruptcy and Creditors’ Rights Groups. Mr. Ellison also has significant experience in employment law and workers’ compensation litigation and represents local, regional and national clients. Mr. Ellison is precise and focused in his practice and is dedicated to finding solutions for his clients, whether that is in the courtroom or through out of court settlement. Published opinions before the Kentucky Court of Appeals including Grant v. Board of Trustees, Kentucky Retirement Systems (2007-CA-388). Authored attorney-client privilege materials for the Risk Insurance Managers’ Society regional meeting. Speaker at “Kentucky Employment Law Update” educational seminar in January of 2010. Presented at seminar on “The Impact of Technology on Employment Disputes” in March of 2010. Presented at seminar for the Kentucky Bar Association Workers’ Compensation Section in February 2011. Law Firm Contact: John E. Hinkel, Jr.